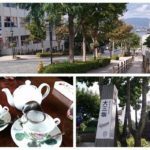 5 How is Hakodate’s autumn climate? And what should I wear? 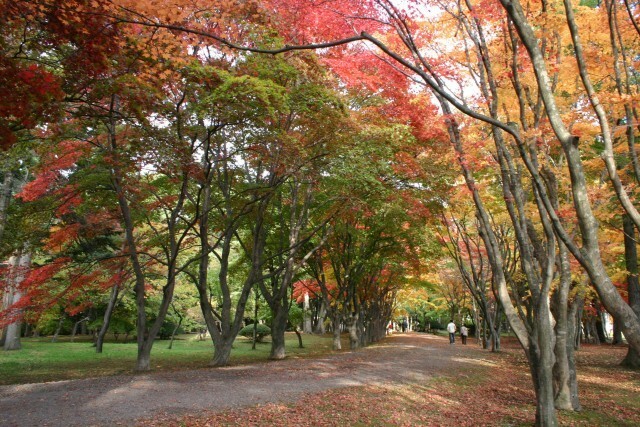 Kosetsu-en is a garden located inside the vast Miharashi Park. 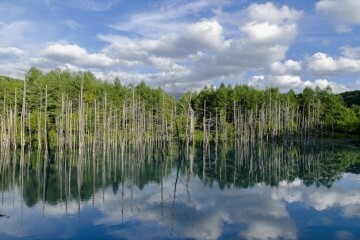 Kosetsu-en alone covers an area of over 13 hectares. Apparently the garden was named Kosetsu-en by the Taisho period chief-abbot of the famous Chion-in temple in Kyoto. 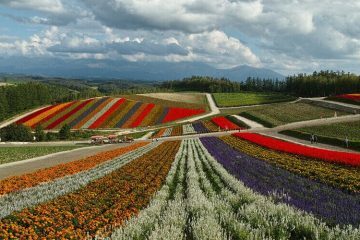 It is also a nationally designated Place of Scenic Beauty under the name Former Iwafune Family Garden (Kosetsu-en). As you might be able to guess from the name, it used to be a property belonging to a villa of a wealthy merchant called Iwafune. 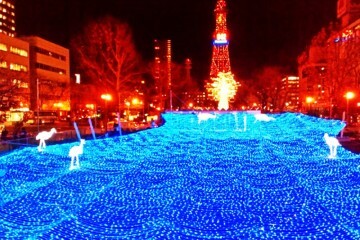 At some point the city of Hakodate bought it, making the grounds a possession of the city. 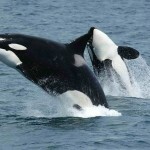 To many locals it is a resting place, and for many children a school excursion destination. In winter you can see people riding sleighs through the garden. One of the highlights of autumn is of course the coloring of the leaves, and the colors radiating from the trees in this garden are particularly gorgeous. Also, an event takes place during this period called Hakodate MOMI-G Festa in celebration of momiji, the Japanese maple trees. 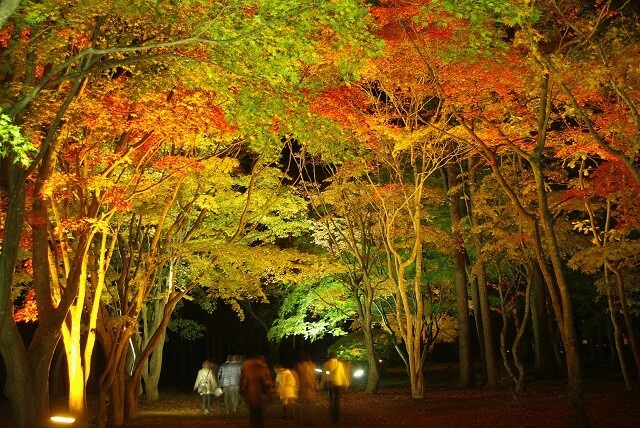 The autumn colors are of course great during the day, but when illuminated at night they are wonderful too! Definitely worth a visit! If you get off at the last stop, Hakodate Dotsuku-mae, of the tram running through the city, and climb Uomizaka, the temple Koryu-ji will come into view. 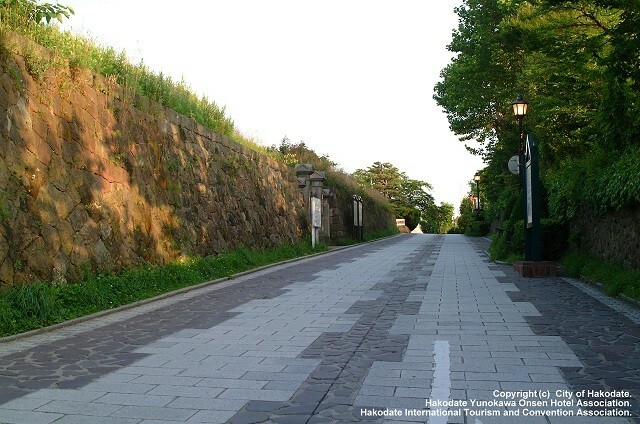 It is located in front of the Hakodate Foreign Cemetery. This is temple belonging to the Soto zen school was established in 1633 in the early days of the Edo period. The main hall as it exists at present was built during the Meiji era, and in 2012 it was nationally designated along with other buildings on the premises such as Kompira hall and Kaizan hall as a Tangible Cultural Property. The carvings in the temple gate and walls are superb, and the bulky wooden structures are vivid manifestations of its long history. The temple Otani Hongan-ji Hakodate Betsu-in is simply called Higashi-Honganji by the people of Hakodate. 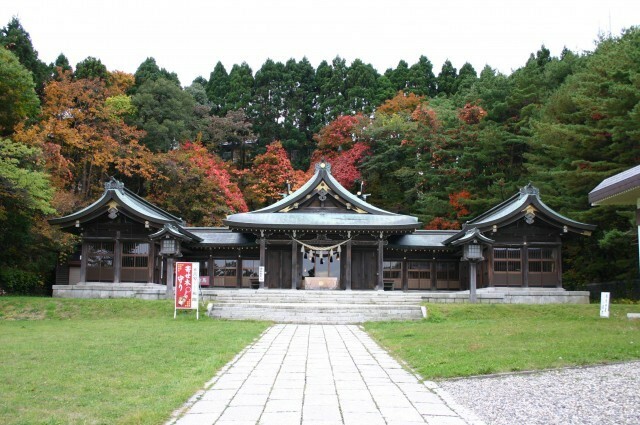 This temple is situated on the right side of Nijukkenzaka road along the way to the ropeway station. It is located in the middle of the Motomachi sightseeing district known for its Christian churches such as the Orthodox Church, Anglican Church, and Catholic church. There is a ham and sausage shop nearby that pretty much every citizen of Hakodate knows about called Hakodate Carl Raymon, so you might want to consider stopping by if you get a little hungry during your walk. 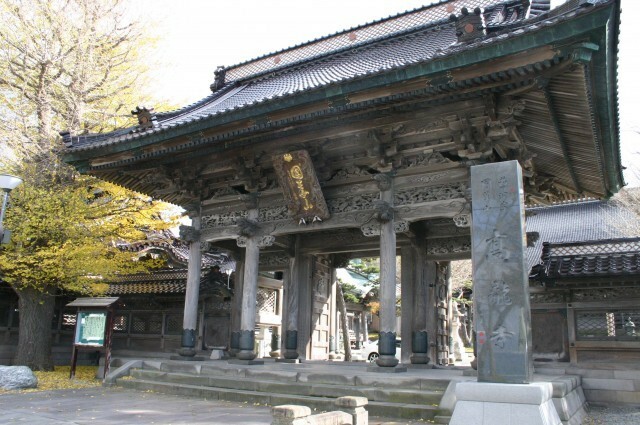 This temple’s main gate and main hall were rebuilt in the Taisho era with then-innovative iron reinforced concrete and are registered as Important Cultural Properties. 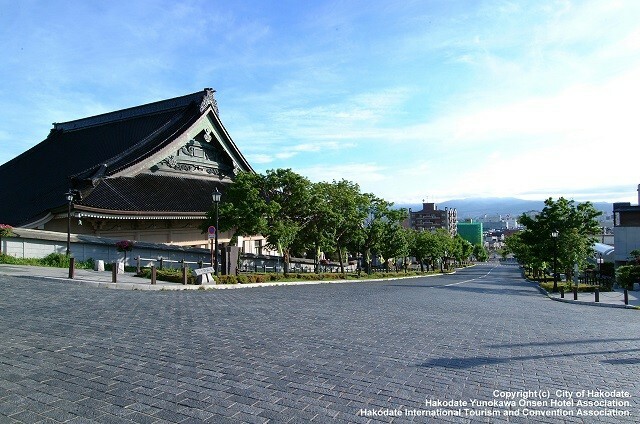 Hakodate Gokoku Shrine lies at the base of Mt Hakodate. 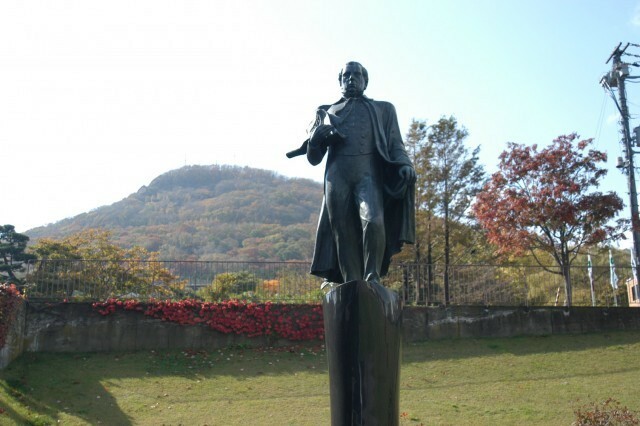 In front there is a spacious slope called Gokoku-jinja-zake leading up to a statue of Kahei Takadaya, a historic figure that was featured as the protagonist of the novel Na-no-hana no Oki by Ryotaro Shiba. Gokoku Shrine is a shrine dedicated to the young men that perished in wars spanning from the Battle of Hakodate to the Pacific War. 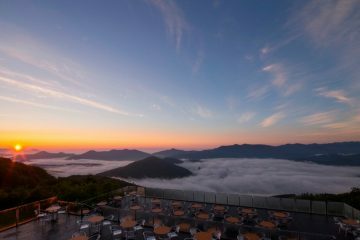 It’s a popular place among young Japanese, and in recent years has become known as an auspicious shrine to have traditional marriage ceremonies officiated at. There is a statue of an owl on the grounds which is said to bring good fortune to whomever touches it. The reason for this belief involves a Japanese word play of sorts: the word for owl in Japanese is fukuro, which when written with well-chosen Chinese characters literally means “no hardship”. 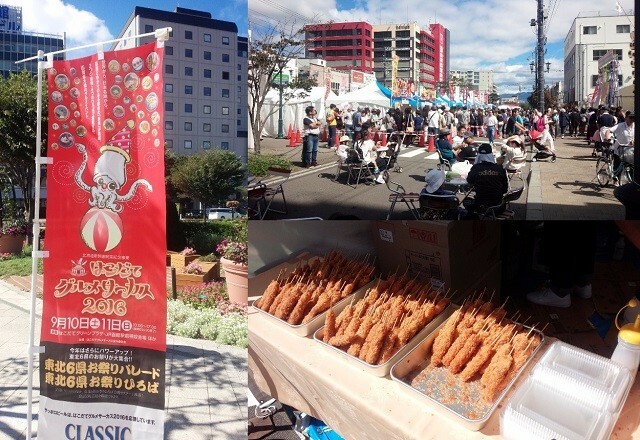 Hakodate Gourmet Circus is quickly becoming an established September tradition. 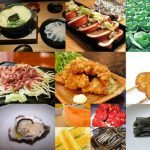 In a special venue set up in the Hakodate Station and Daimon area, eating and drinking establishments from all over the city, outskirts and even the Tohoku region come together and put up stalls offering their choicest delicacies. There are also stage events organized by various municipalities, which attract large crowds. Chairs and tables are provided as well, so you can immediately enjoy any food and drink you buy in a leisurely way. Furthermore, beer and wine are sold too; so all the ingredients for having a great time are present at Gourmet Circus. BAR-GAI is a Spanish-style gourmet event quickly becoming popular nationwide that originated here in Hakodate. When it was first held in 2004 it was limited to a single night, but by now (in 2017) it has evolved into a recurring event taking place every year in spring and autumn. It uses a ticket system, where 1 ticket gets you a drink and a small Spanish-style pincho dish. Sometimes over 70 establishments participate, and hopping from on to another is a ton of fun. When buying your tickets you receive a map, so you can specifically target the places that look the most promising. How is Hakodate’s autumn climate? And what should I wear? Because Hakodate is surrounded by the sea, temperatures don’t fluctuate as much as they do in other regions of Hokkaido. Overall, it can be said to have a gentle and pleasant climate. In September temperatures drop to daily averages of 20.1℃. 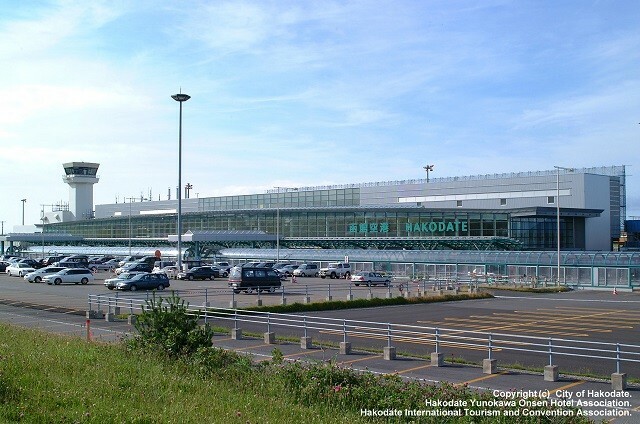 Also, there tends to be a breeze coming from the sea; and you are bound to notice the difference in climate between Hokkaido and the rest of Japan as soon as you get of the plane at the airport. You are unlikely to need a down jacket during the autumn, but in the evenings the temperatures can nonetheless drop considerably; so you better at least bring long sleeved clothing. If you’re interested in taking a walk through the western district, make sure to do so in comfortable shoes, as there will be plenty of cobblestones to cross. 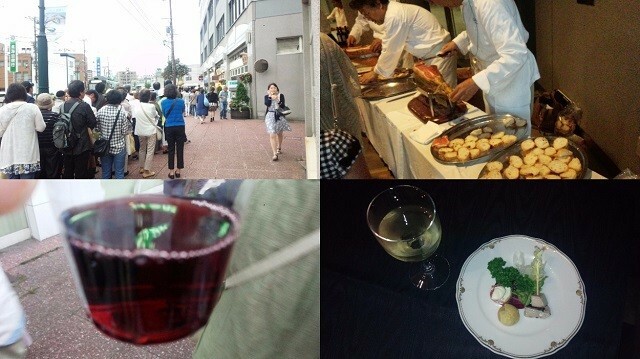 I have introduced some recommended locations and events of Hakodate in Autumn. 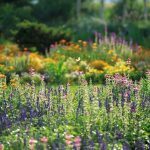 Hakodate is famous for sites such as Mt Hakodate and Goryokaku, but the city has many lesser known attractions that are well worth visiting too, especially when the season is right. 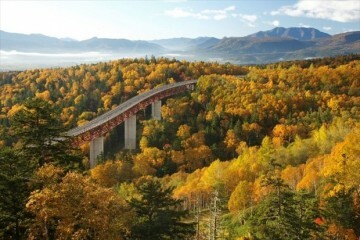 This time I focused on the autumn season, but the other seasons have their own particular recommended sights too. I hope you will get to visit Hakodate at various times of the year so that you may get to experience the best of each season.